Easy as pie DIY LED Moonlights. Extension Cord $1 - Lowes, or you very well may have one already. DIY LED moonlights most often require purchase of individual LED's and resistors, requires soldering, some sort of packaging and finally an ac/dc adapter of some sort. This method uses none of these! 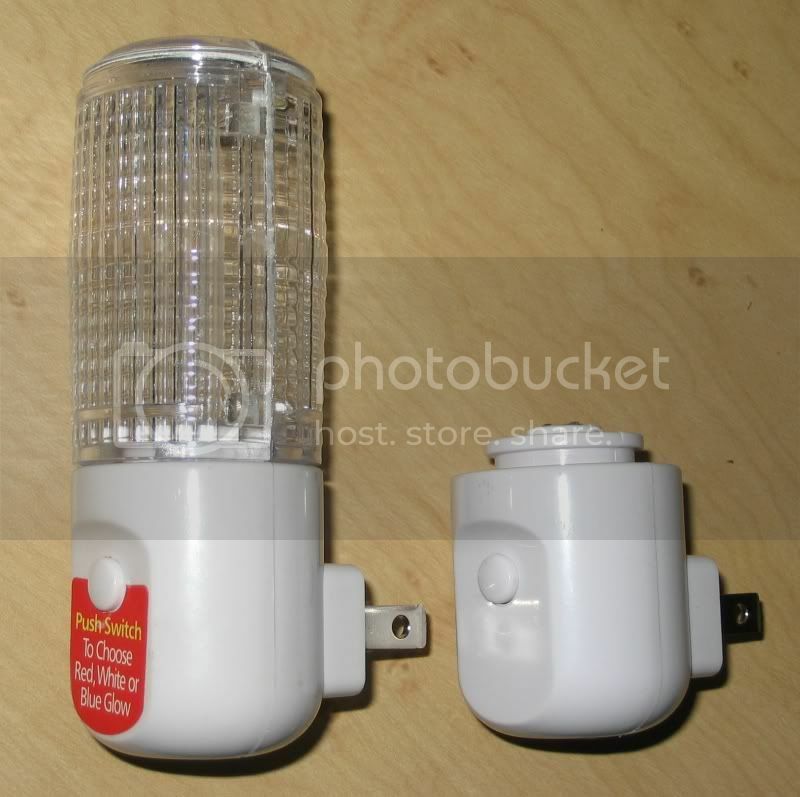 I found, I think, the easiest and likely one of the cheapest ways to add LED moonlights to your aquarium. 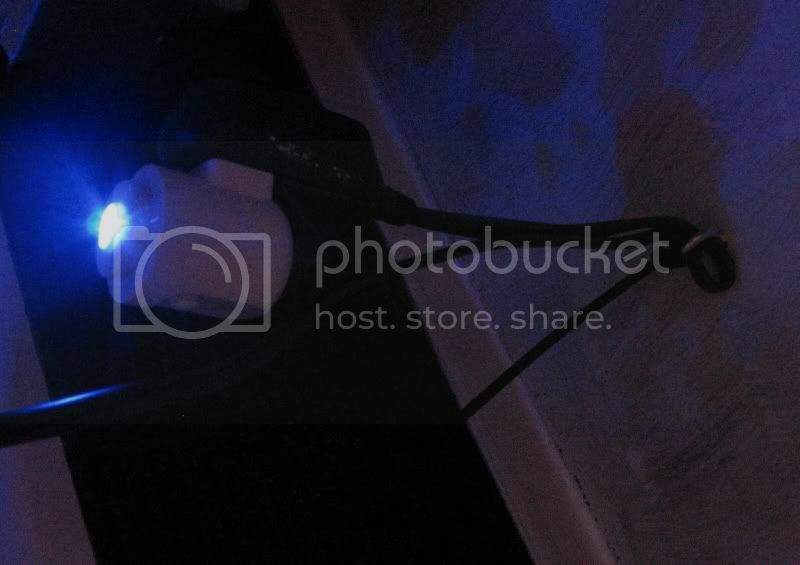 Lowes (and I think Home Depot) carry an 1W LED night light that you just plug in the wall for around $5. The one I found has a switch to choose one of three LED's to light. Blue, Red, and White. Blue is my preferred color. Place the light disperser on a hard surface like the curb of a sidewalk. Let the base (white part) hang off the edge so it doesn't take as much of the impact. Hammer the light disperser until it cracks. It should only take 1 or 2 controlled hits. Remove everything but the base. You'll see the LED's poking out. Insert Eye hook where you'd like to hang the moonlight over your display. 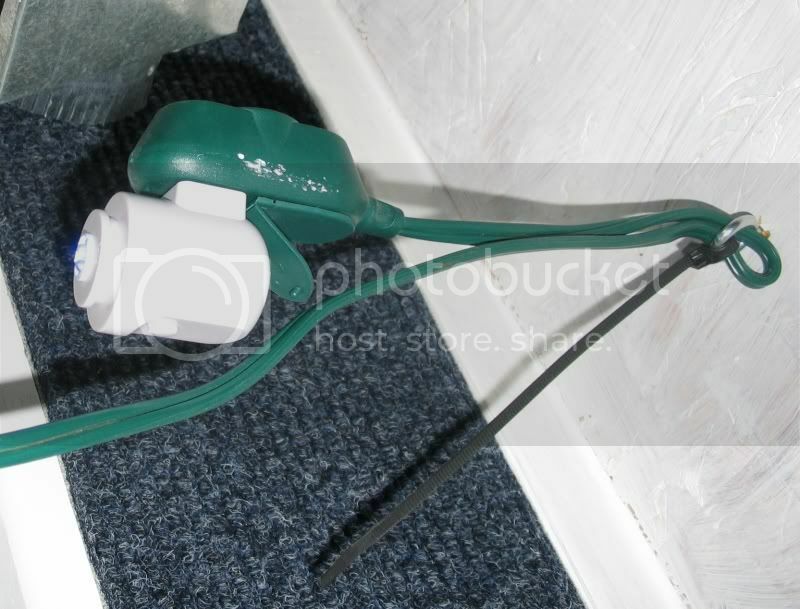 Loop the extension cord through the eye hook and secure it using the zip tie. Plug in the night light and enjoy. Make sure that the extension cord is secure. You definately don't want it falling in the tank. This takes the headache and cost out of installing costly or custom moonlights. These things cost less than 1/2 a cent per day to operate. That's about $1.80 a year.